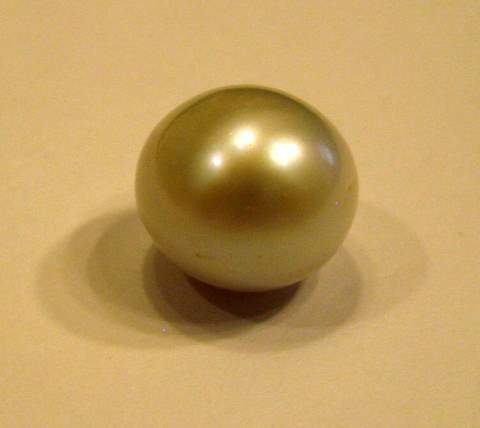 Go to main natural pearl page after 12Carat natural pearl. 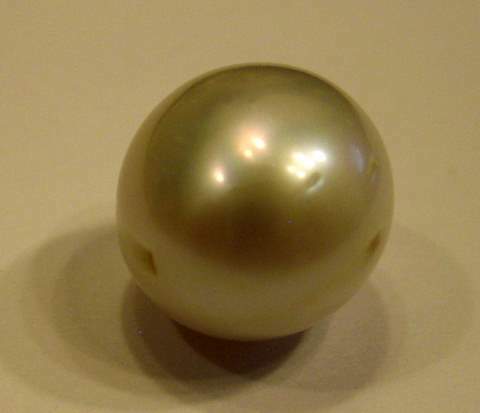 For questions about this pearl contact Kari. Natural USA freshwater pearls have decorated the kings and queens of Europe. Freshwater pearls information from Kunz 1908 pearl book. Sometimes these natural USA pearls are translucent and either pink or of a faintly bluish tint, like molten silver. More frequently their hue is white, rose, pale yellow, or pale copper, deepening to copper red until they resemble the most intense and highly polished copper button. According to the estimates of the value of European freshwater pearls given by seventeenth and eighteenth century writers, their worth was considered to be one half that of oriental pearls of approximately the same quality. Few European natural pearls, we feel sure, were ever found that possessed the wonderful beauty and brilliancy of the natural pearls found either in the Miami or the Mississippi and its many tributaries. So extensive has become the finding of natural American pearls that great quantities have been gathered together of all varieties. At the time of this writing there are many large single lots of these natural freshwater pearls, slightly irregular, and not of fine quality, but yet of sufficient regularity of size to be termed baroque freshwater pearls. 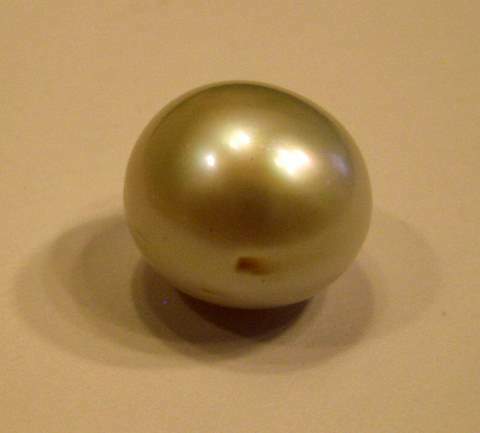 At the time of writing this freshwater pearls information (1908) there are for sale in the United States a pair of natural freshwater button earrings, almost round, not of absolutely perfect color, weighing about 140 grains, the price being $6,000: a round, slightly ovate pearl, not of the finest color, weighing 85 grains, held at $3,500; and a wonderful non-cultured pearl with a rich, faintly pink luster, round, but slightly button on each side, weighing about 44 grains, and beautiful as are American natural freshwater pearls, is held at a fanciful valuation of over $6,000.